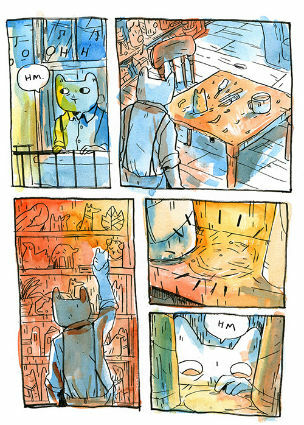 Whether they’re bringing the first major work from new voices to an anticipative audience or taking mainstays of the small press scene to a broader readership, somewhere in the process there’s a perfect creative alchemy that comes into play when an artist collaborates with the Avery Hill Publishing team. 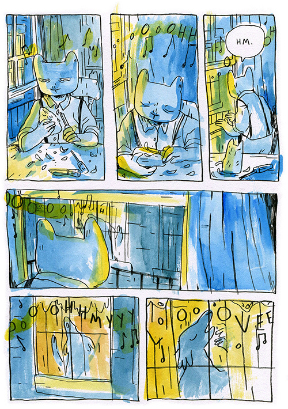 Their track record with debut graphic novelists like Tillie Walden, Ellice Weaver and Broken Frontier’s own EdieOP is, of course, exemplary but they’ve also released some of the very best comics by long established self-publishers like Alex Potts, Rachael Smith and Steven Tillotson. 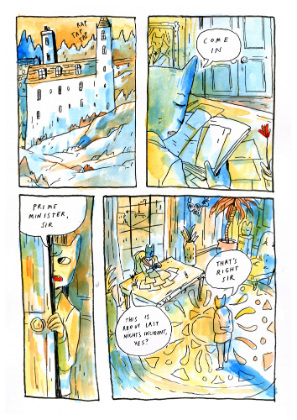 This week sees another familiar face from the UK small press circuit become part of the AHP phenomenon when B. Mure’s graphic novella Ismyre makes its first appearance at this weekend’s Bristol Comic and Zine Fair. Set in the titular city, Ismyre is ostensibly a fantasy mystery but in reality its thematic layers run far deeper than that simple definition. Edward Goodwill is a sculptor struggling with a commission from the government. 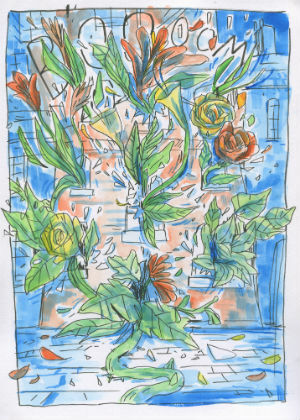 He’s also dealing with the intrusive haunting singing coming from a neighbouring home and the strange occasional disappearances of pieces of his work. Ismyre can be read at face value as a journey of discovery and an eerie puzzle to be pieced together. But on another level it’s about far more profound themes than that. It’s a story about how overwhelming loneliness and isolation can be even in the busiest and most densely populated places. And it’s also a book about the creative process and the doubts we can have about our own craft and practice. That these two thematic explorations dovetail so neatly in the book’s denouement is a testament to Mure’s careful pacing and gentle manipulation of the reader’s expectations. 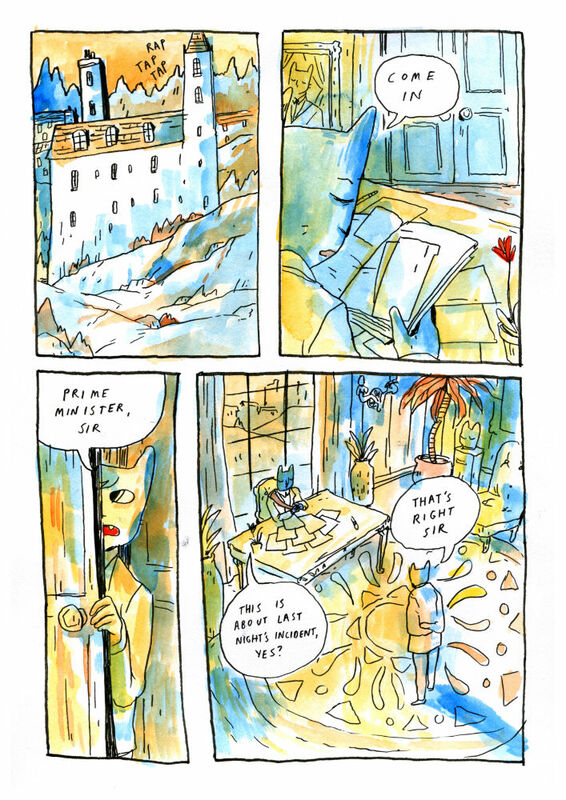 Mure’s slightly scratchy, highly expressive cartooning and their ever shifting colour palette create a world in these pages that feels both fantastic and magical and yet also somewhat menacing and unstable at the same time. It’s that use of colour, in particular, that evokes a sense of something otherworldly to this environment; their hues feeling not so much applied to the pages as emerging from them with an entrancing quiet authority. Similarly effective is their use of anthropomorphised animals as cast members, emphasising the humanity of the characters by detaching them from the physicality of it. There’s a powerful sense of world-building going on here and by the end of the book’s 70-odd pages it feels like we’ve only scratched the surface as far as this curious society of casual sorcery is concerned. We can only hope that Mure plans to return to Ismyre’s environs again in the not too distant future because this world already seems fully realised in construction and ripe with a wealth of storytelling possibilities for further exploration. While, of the two interweaving plotlines, one comes to a more satisfying conclusion than the other Ismyre is a book that feels less about neat resolution and more about the connection with its characters that it subtly evokes in its readership. 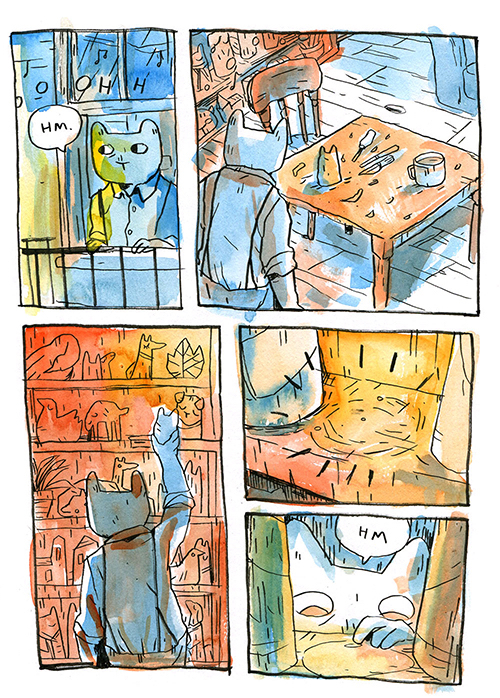 Recently when I reviewed One Beat Zines’ anthology Performance I highlighted Mure’s short strip therein as one of the standout pieces for its potent use of visual metaphor. Ismyre feels more allegorical in delivery but it’s no less affecting a narrative in its own (relatively) subdued way. 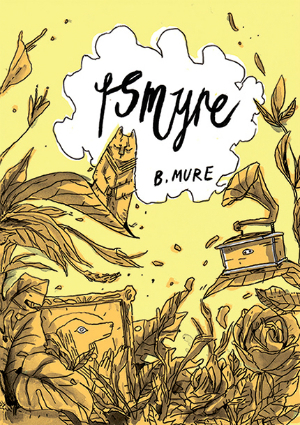 Undoubtedly the breakout work of a small press creator who has long been due far greater recognition, Ismyre is also the latest entry in what has been a truly banner year for Avery Hill Publishing. 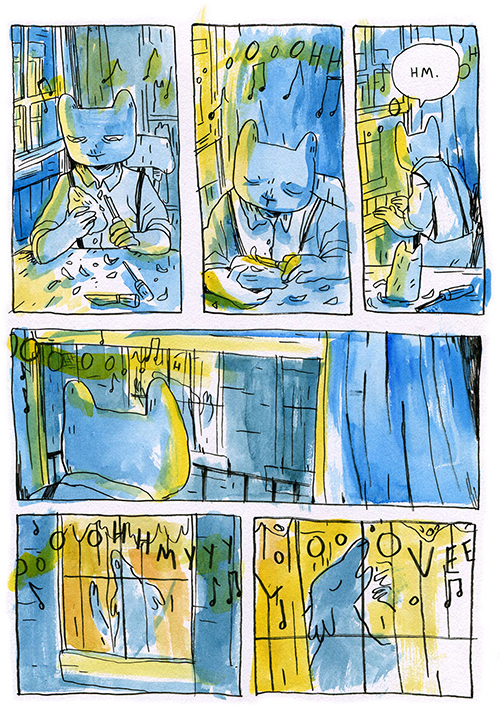 Catch both Mure and Avery Hill at BCZF this weekend. 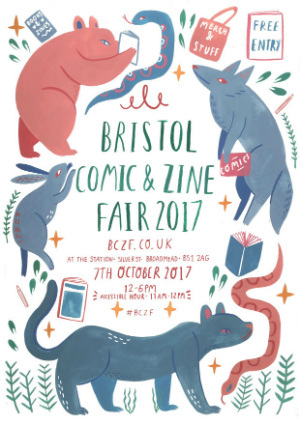 Ismyre debuts at the Bristol Comic and Zine Fair this Saturday October 7th. 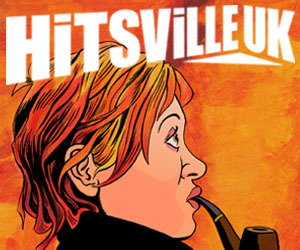 You can pre-order it here from the Avery Hill Publishing online store priced £8.99. For more on the work of B. Mure visit their site here and follow them on Twitter here.